I first visited of Cozumel in 1979. Fact is, I’d never even heard of this island before my then boyfriend, Steve Sisco, suggested we go for vacation. Steve, having been the son of an offshore oilman, had spent most of his youth growing up in Cartagena, Colombia. He talked of diving off city walls into water so clear, so blue, that one could easily think they were in a swimming pool were it not for the colorful, vibrant tropical fish beneath the surface. 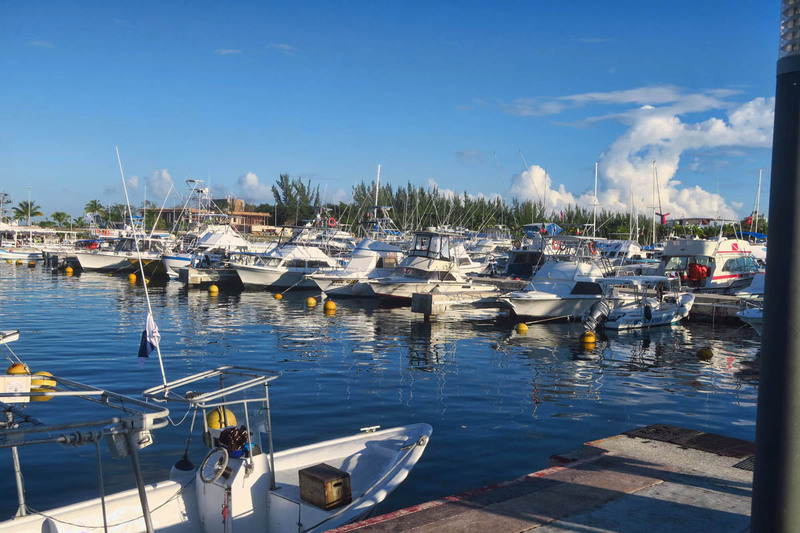 In search of a similar place a bit closer to home, Steve had Cozumel on his radar. Living in Corpus Christ at the time, Cozumel was practically in our back yard. There was little on the island back then. Just a sleepy little town with lots of local establishments and one high rise “resort” hotel. It hadn’t really caught on as a scuba diving destination yet, let alone a major cruise ship port. 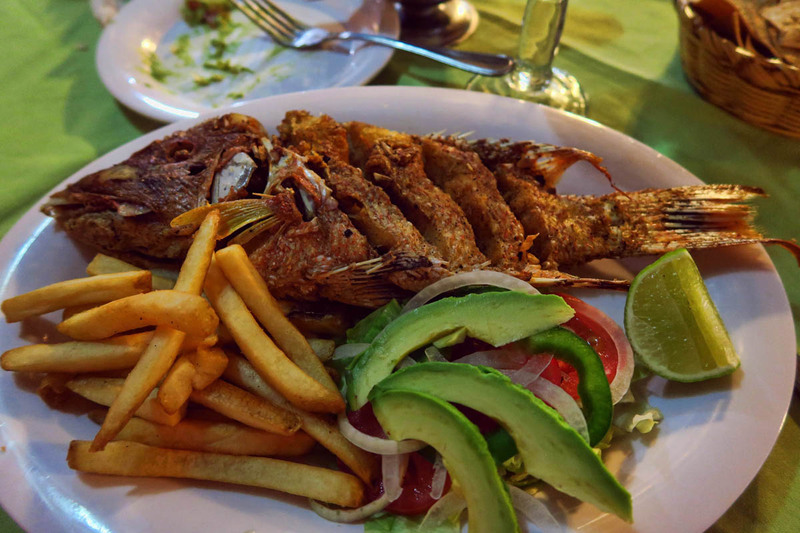 During our week long vacation, we feasted on cheap tacos from hole-in-the-wall restaurants, rode motorbikes around the island stopping in remote, off-the grid beach bars to sip warm cervezas with lime, and snorkeled until our lips shriveled inside and out. Steve found his aquamarine sea, and I found my bliss with no one else around to distract from the miles of pristine, sugary white sand beaches. 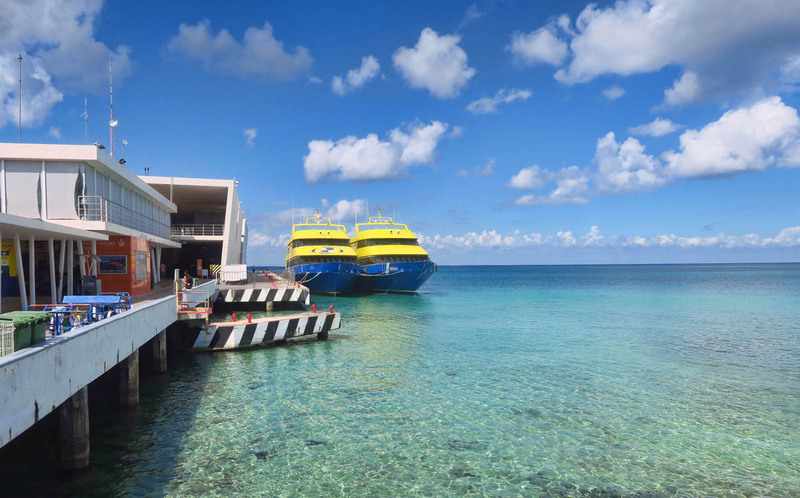 There are now two different ferry companies, Ultramar (blue and yellow) and Winjet (orange) competing for passengers on the route from mainland Playa del Carmen. The route across takes 45 minutes and costs about $9 one way. 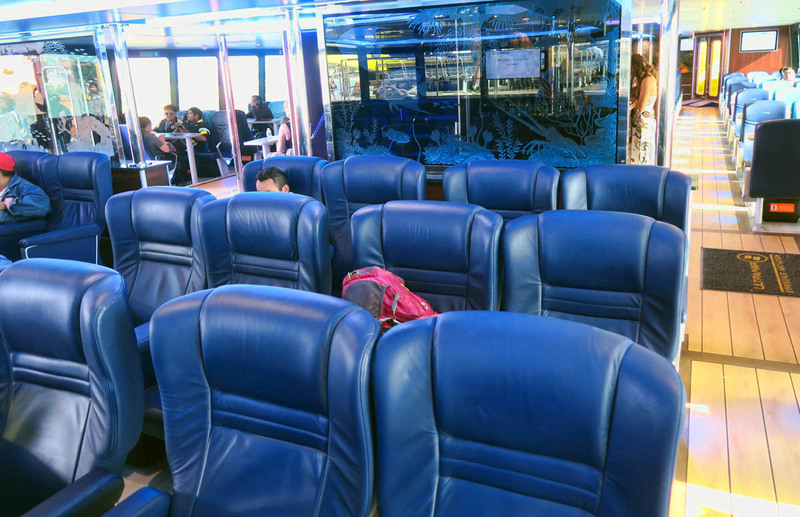 The ride is quite comfortable if you end up on one of the newer ferries. 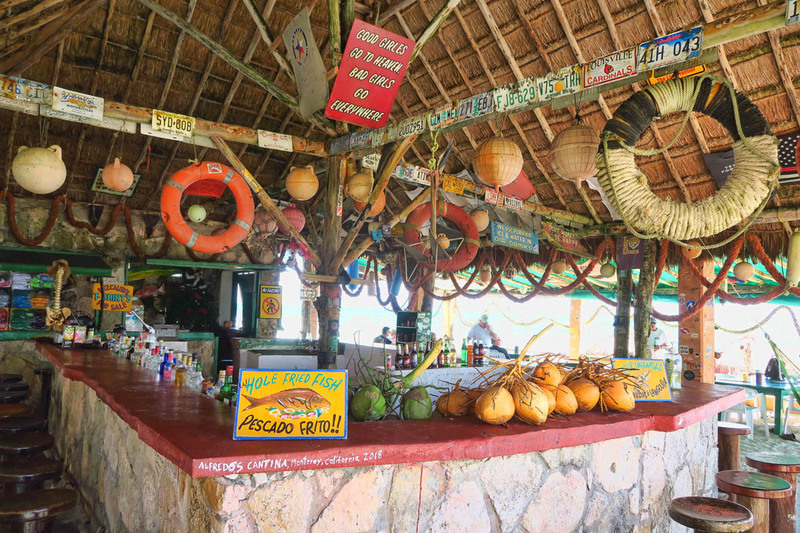 Years later, Cozumel became like the “Anthony Summer Home” as some combination of my family members visited with such frequency that we became regulars at the quaint Hotel Barracuda on the waterfront. 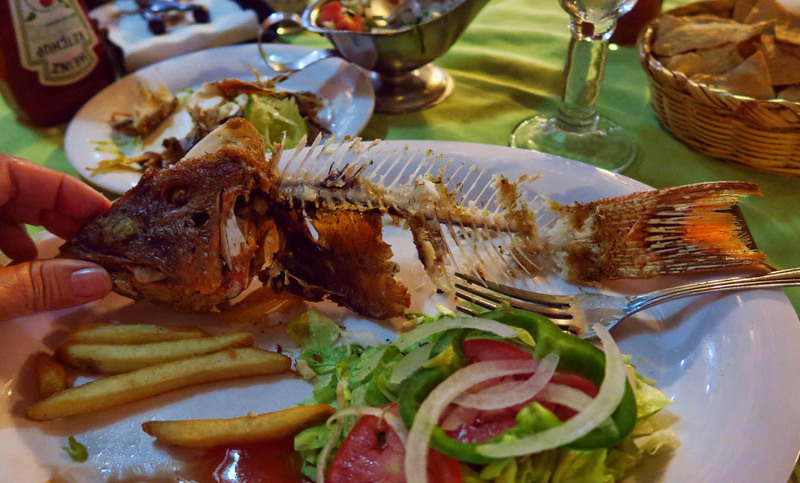 We would commandeer the gazebo in the courtyard along the small beach and watch the sunset, then meander the sidewalks of town stopping to feast on cheap seafood under palapas in quiet, locally owned restaurants. 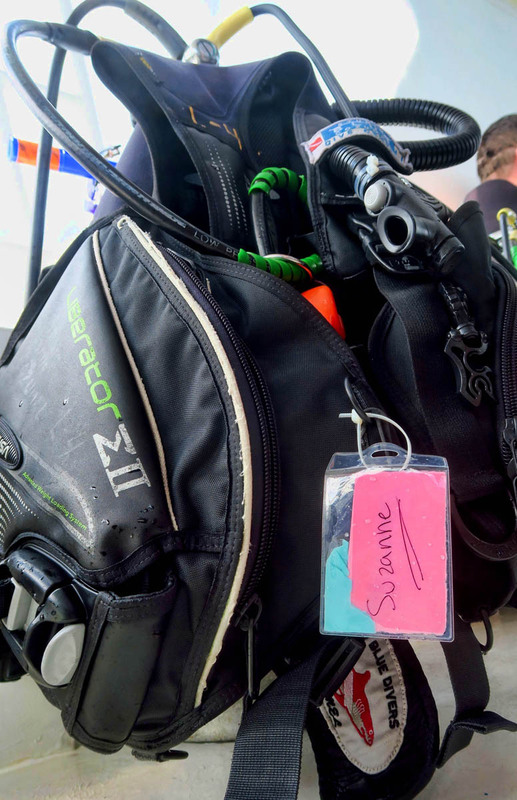 My brother Don and I both got our SCUBA certification on the island, where we went diving with such frequency, we came to know the tunnels and swim-throughs of our favorite dive sites by heart. 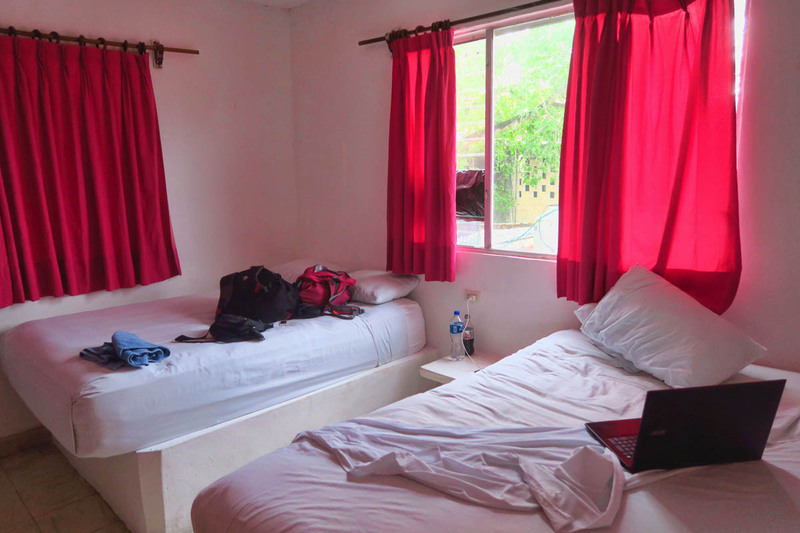 Cozumel was comfortable, quaint, convenient, and most of all, familiar. Nightly shows are choreographed to classical music. 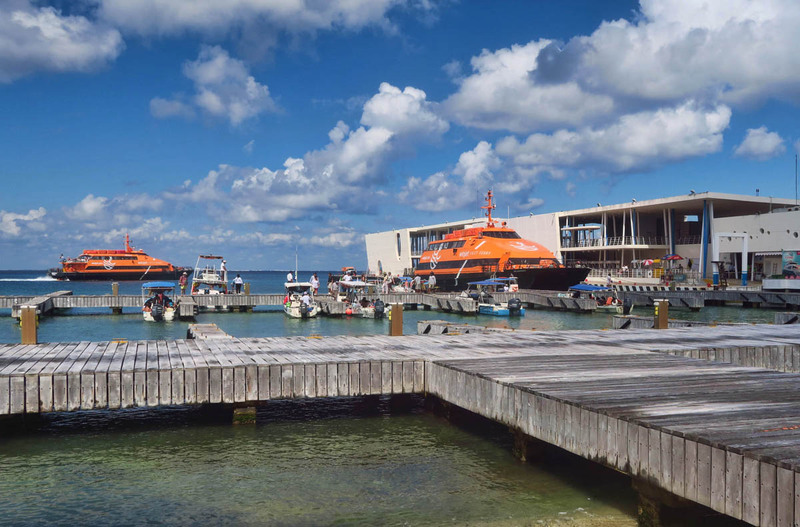 The “new” (to me) cruise ship pier is quite close to town, and extends out over Paradise Reef, what was once a good diving spot. I have been spending winters or vacationing with regularity in Mexico since 2007. There are so many things I have come to adore about this country…the colorful culture, the passion-evoking music, the affordable and flavorful street food, and the genuine respect that Mexican’s show to visitors in return. It’s a country that has an old soul. 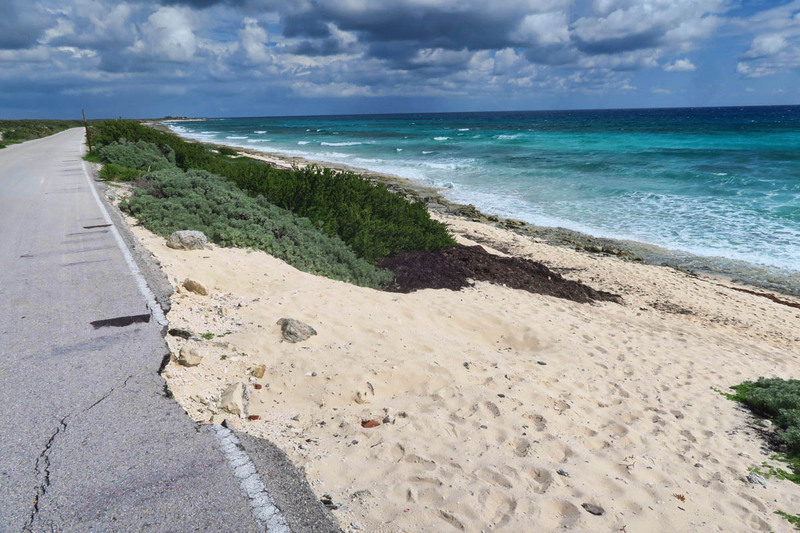 But walk the front street of Cozumel, the Cruise Corridor, and you will find none of that. 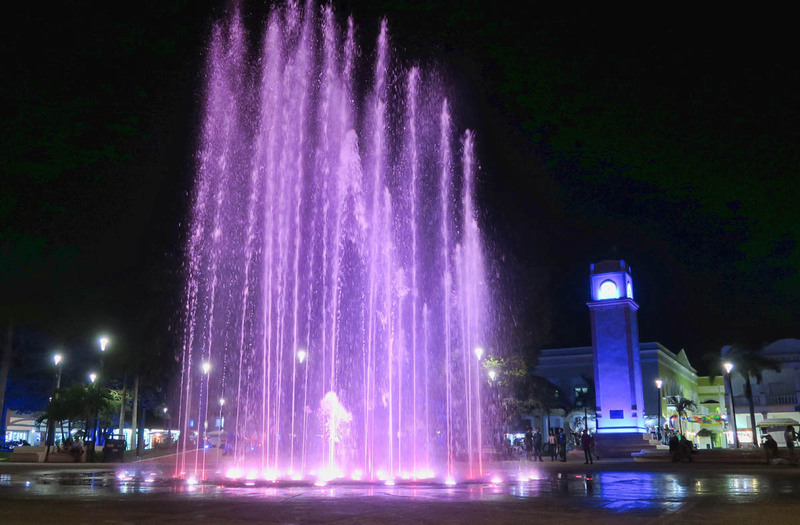 The main street is lined with expensive jewelry stores selling tanzanite and strands of diamonds, Rolexes, and Gucci bags. 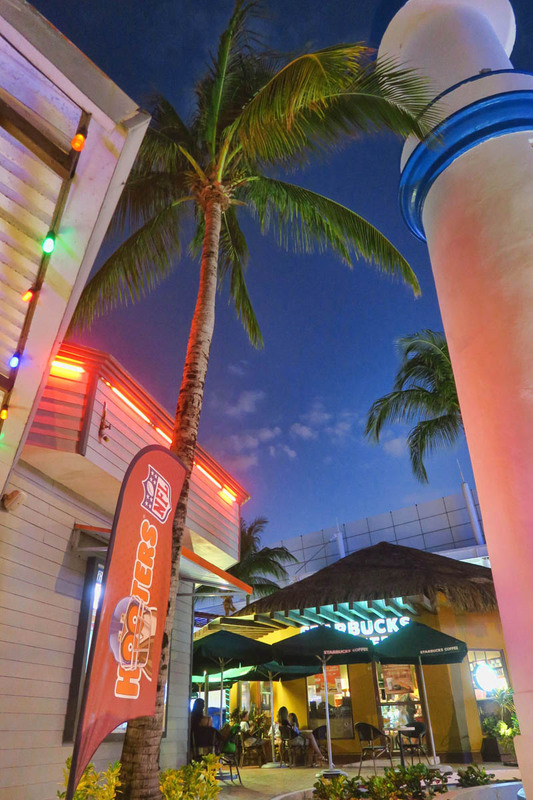 The corner restaurant sells “yards” of beer and foot-tall frozen margaritas. Disco music blares from the flashy bars upstairs. And Hooters and Starbucks vie for the front street white tennis-shoed foot traffic. 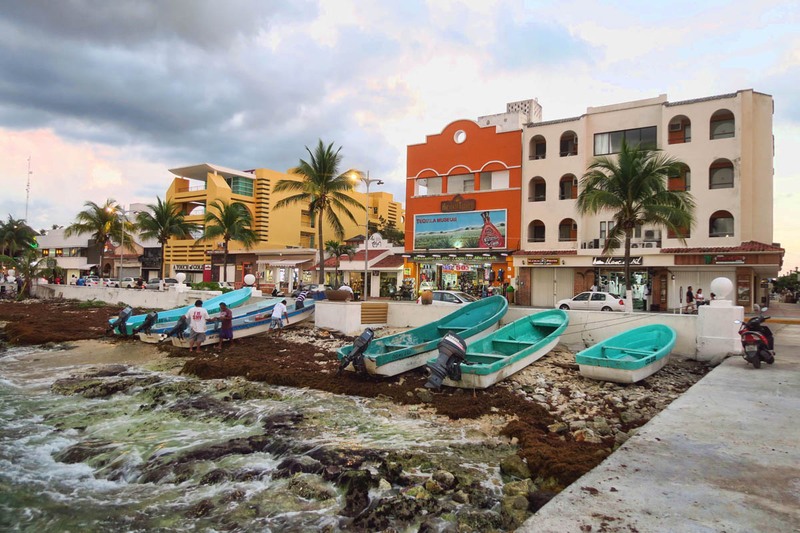 But the thing I notice most when walking the front street in Cozumel is how I am treated differently than in the rest of Mexico. I am taken aback as hawkers shout at me, “Hey, Lady! What are you shopping for?” “Hey Lady….try on this necklace, almost free!” “Hey, Lady…where’s your husband? 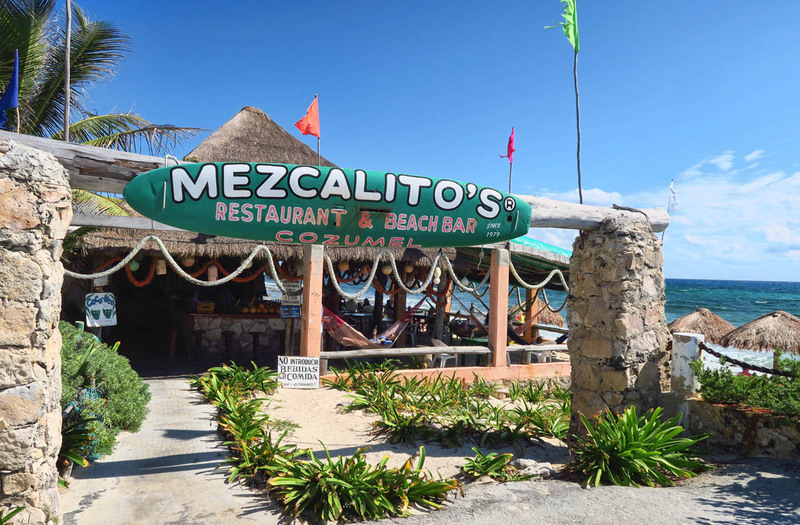 Bring him here for Happy Hour.” Not the usual commentary I receive most places in Mexico. 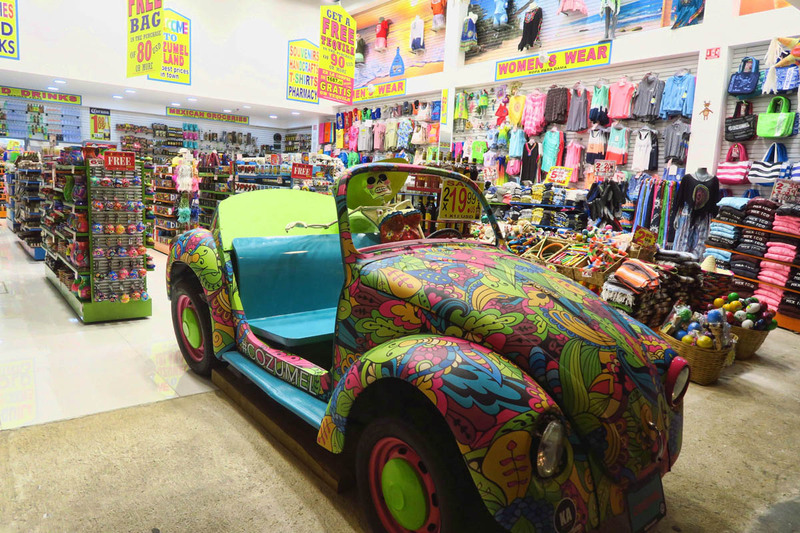 Tee-shirts, trinkets, and tequila…why go anywhere else? 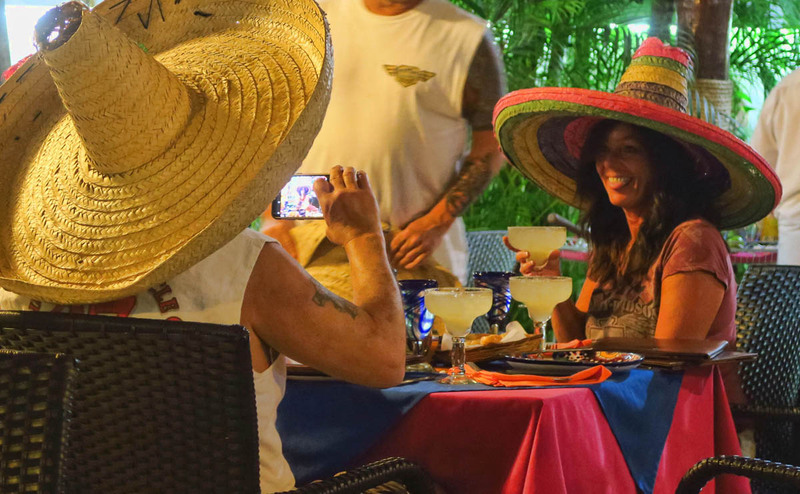 Nothing says “Mexico” like the local costume of table-sized sombreros, right? Glitzy shopping mall down by the new cruise ship pier. 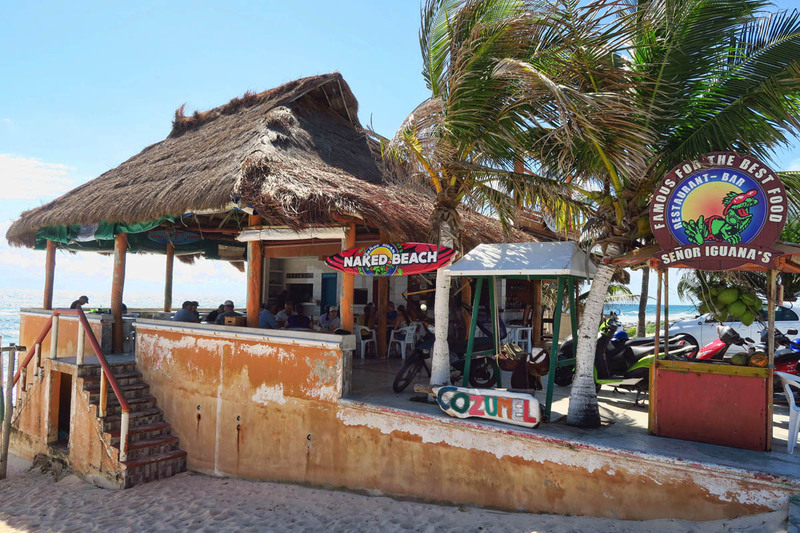 Hooters and Starbucks are favored over local taco shops or my personal favorite hangout, the local El Coffee Cozumel. I wander the back streets until I find my old standby, “El Foco” which translates to “The Lightbulb” One of the few places still here since my 1979 visit, they have been in business since 1975, and still serve a great plate of tacos at a reasonable price. I guess a Carlos Santana cover can be counted as Mexican music, right? 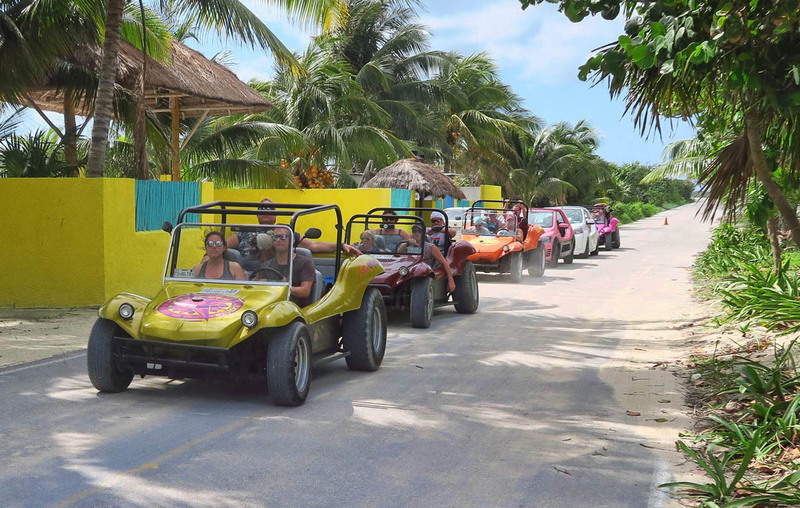 I think about what life must be like for locals who live on this island and must serve the zombie-like cruise people who wander the front street path in search of tee-shirts, trinkets and tequila. Those who must make their living by serving drunk vacationers in a place that has no authentic semblance of their local culture. The words “social exclusion” come to mind. It makes me sad to think the impressions of the extravagance and opulent consumption are the only exposure most of the locals get to us “foreigners.” And in turn, it also makes me sad to think that visitors who disembark long enough to walk this front façade think they can now tick “Mexico” off their must visit list. Marina in Caleta Harbor from where most dive boats depart. Returning to the scene of the crime where I got my dive certification in 1995. I am pleased to report the reef still looked to be in pretty good shape, however the lack of fish made me rethink my dinner selection. MEANWHILE…..(stealing a line from Stephen Colbert.) 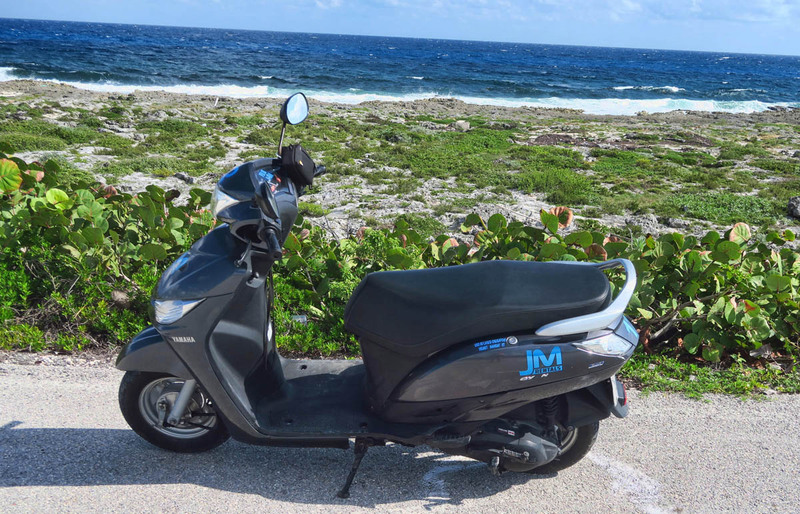 One of my favorite things to do while in Cozumel is to rent a little scooter and ride around to the more remote, off-the-grid, windward side of the island. Here is a photo essay of that route, along with descriptions of how it has changed since my last visit. My noble steed for the day…cost of rental, 500 pesos, or approx $25US. There is a new tequila plant since I last drove the transversal across the island. It’s built up quite a bit over the y ears. 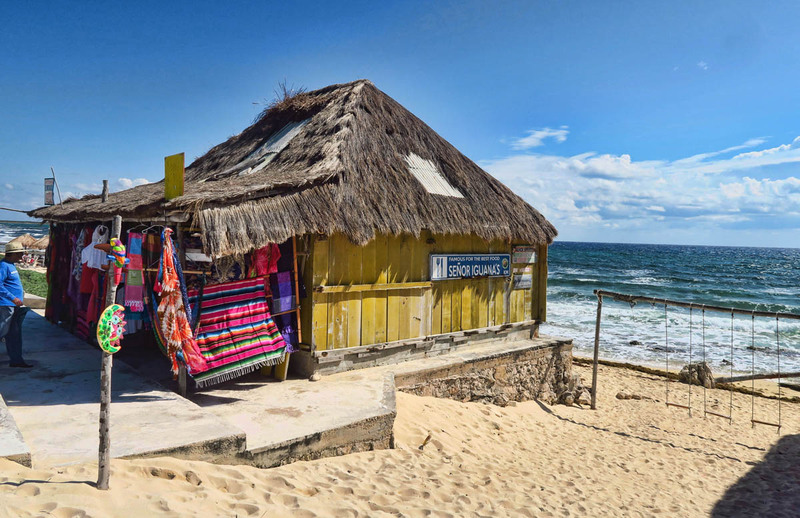 It used to be nothing more than a shack with an ice box full of beer, and a few Mexican blankets for sale. 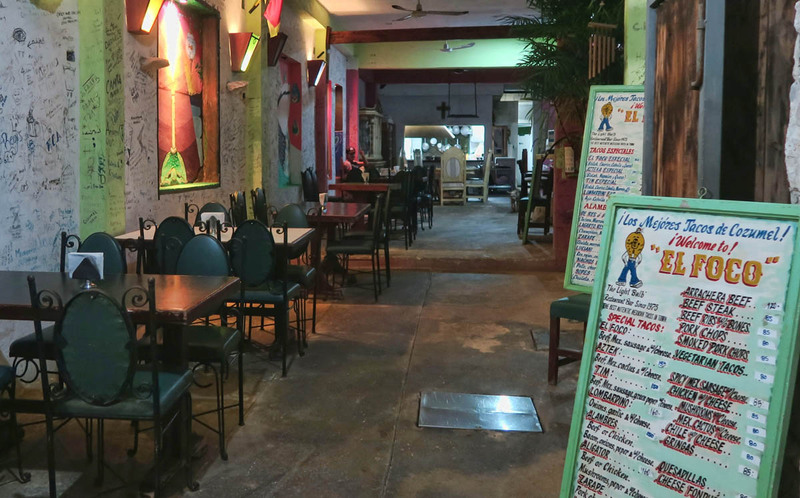 Giving Mezcalito’s some competition next door is Senior Iguana’s. While this stretch of beach where the road turns south offers wonderful stimulation to the senses with the sound of the surf and smell of the salt air, the sea is too rough for swimming. 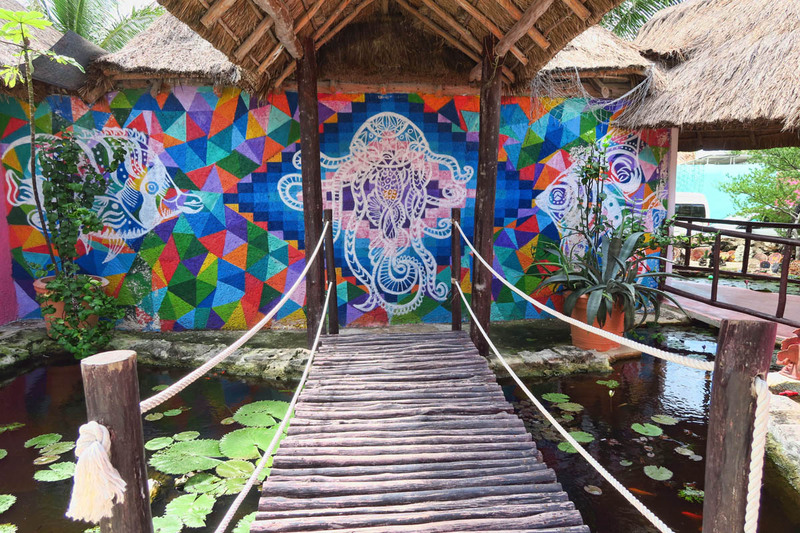 More of Punta Moreno, Koi pond built across from the building housing souvenirs for sale. 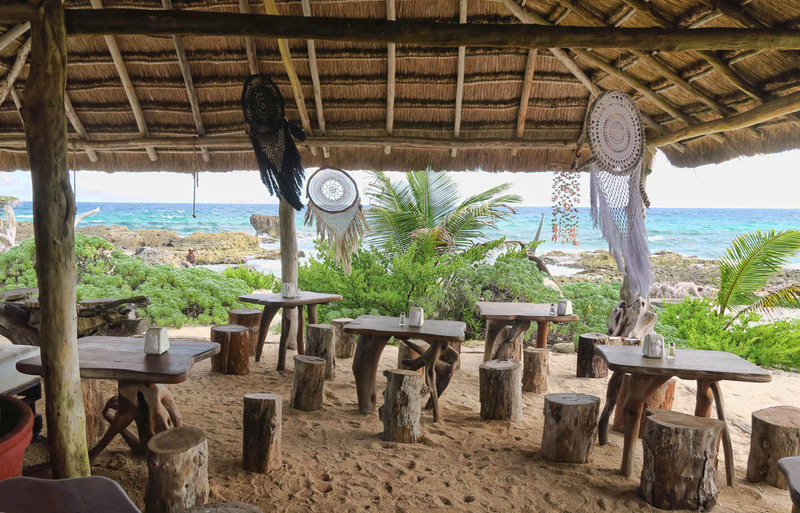 While the “other side of the island” used to be quiet and remote, there are now “Bar Hop Tours” that kill the former zen-like vibe. 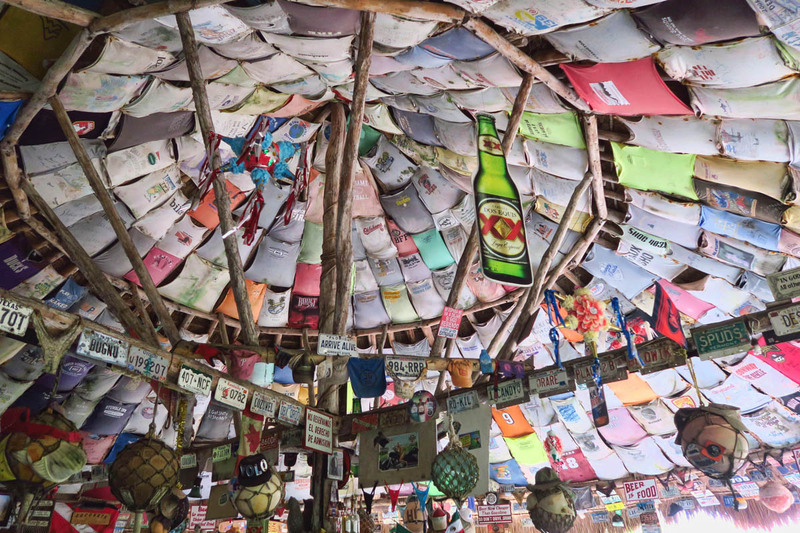 In my opinion, this was the nicest beach bar along the windward side. Unfortunately for them, they are not on the “Bar Hop Tour,” consequently no patrons. 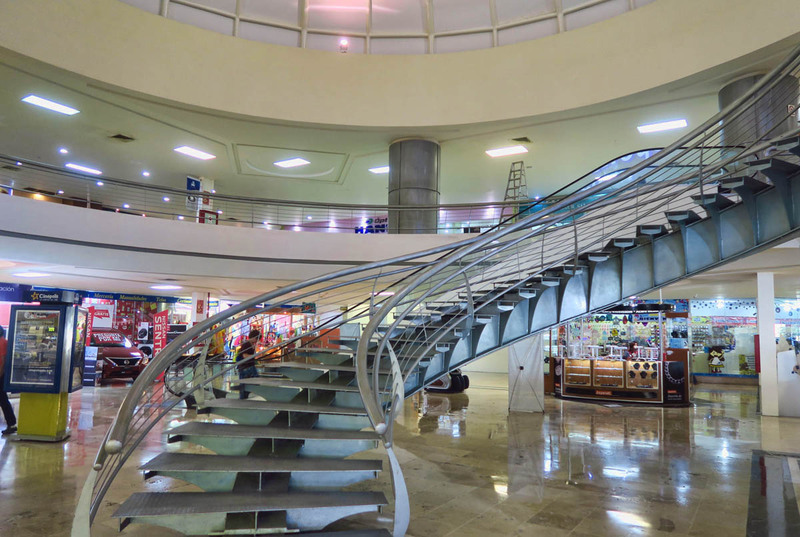 The “former” Playa Bonita. This was once my family favorite, and mandatory stop on the island tour. Sadly the ocean has reclaimed what was once a wide stretch of beach, and is now eating away at the building itself. 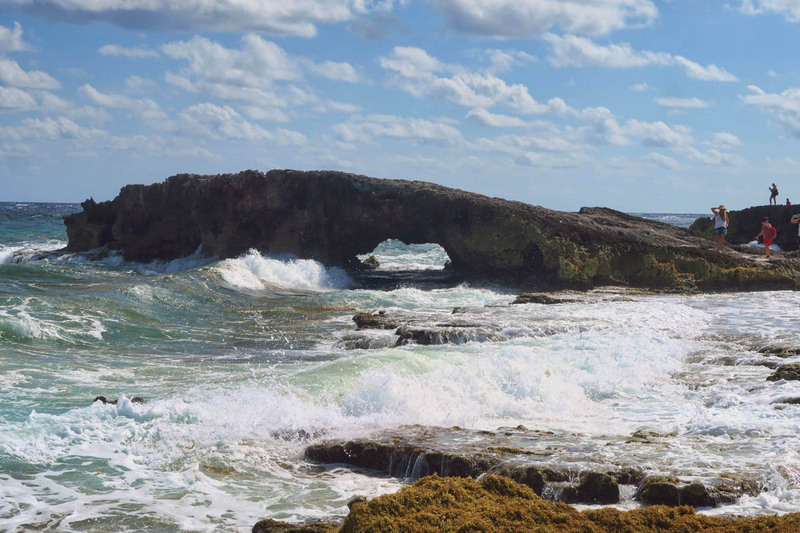 The Sargassum seaweed that has plagued much of the Caribbean Islands in recent years causes turquoise Caribbean waters to appear brown. Another major change along the south side of the island is the new highway. Sadly, it’s further from the beach than the original, now eroding road, now open only to bicyclists and foot traffic. Since the new road is further from the waters edge, several “Miradors” or viewpoints have been built along the road, obviously temporary structures pending destruction from the next hurricane. 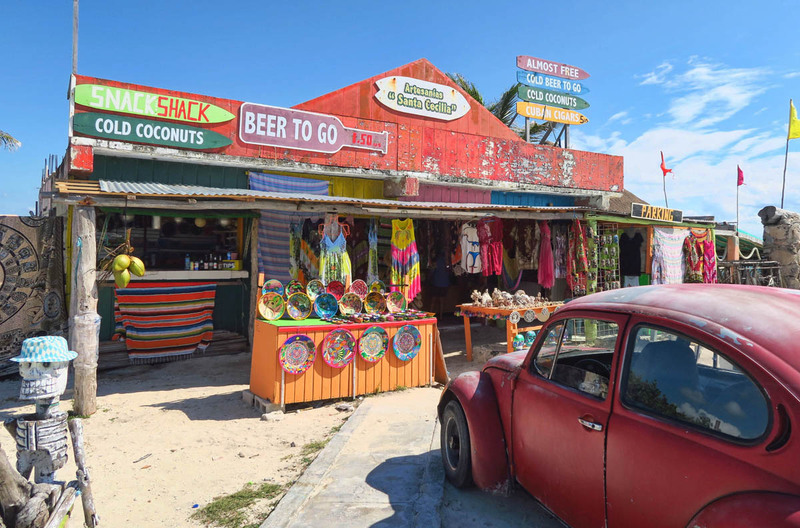 Following around the point, the road loops back to the leeward side of the island, where most of the swimming beaches have been converted to cruise day tripper destinations. 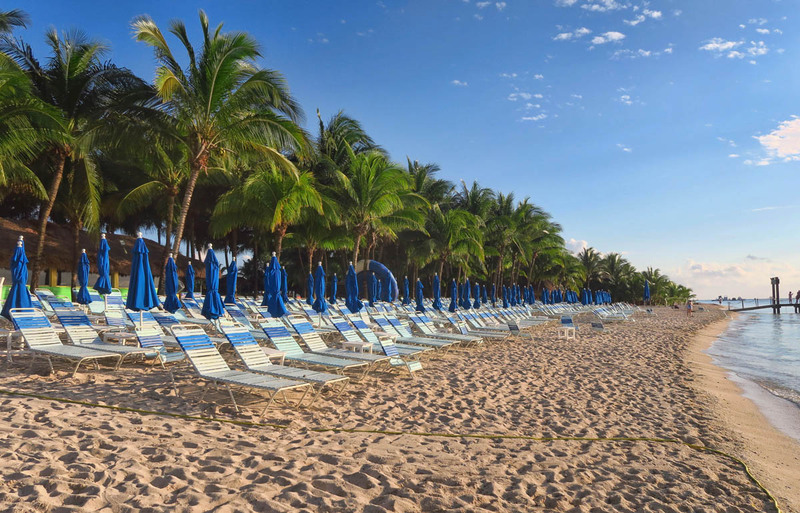 These destination beaches all close at 5:00pm. I arrived after 5, but the nice man allowed me to go for a quick swim while they were closing up. Back around the island circle tour just in time to turn in my scooter and walk back to the waterfront to catch the sunset.. 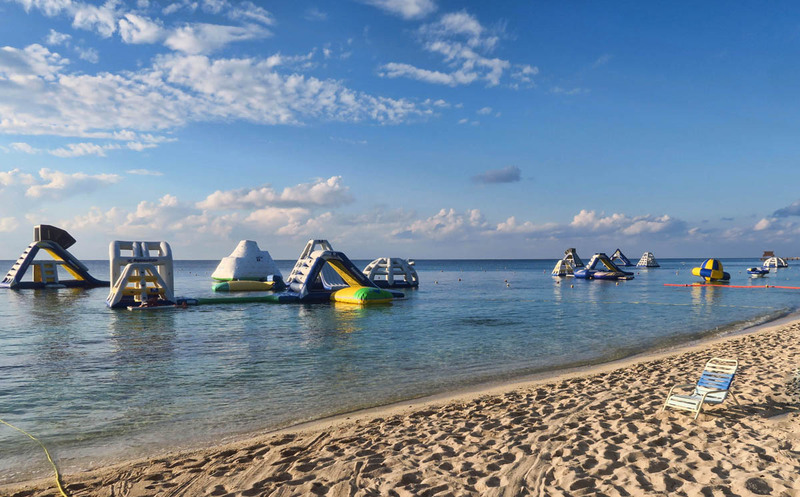 This entry was posted in Cozumel, Mexico by Suzanne. Bookmark the permalink. One thing that is constant is change. As much as we would like to go back it is not there. Regardless it looks like you had a great time. The diving, exploring and food look like a blast, would love to experience it some day. Thanks for the Cozumel tour we were there last fall off a cruise ship and found nice real Mexican restaurant on the back streets away from the hawkers. We have spent 3 months in Mexico rv ing fro Arizona down to Mazatlan area through all the small villages so nice to see the real Mexico. 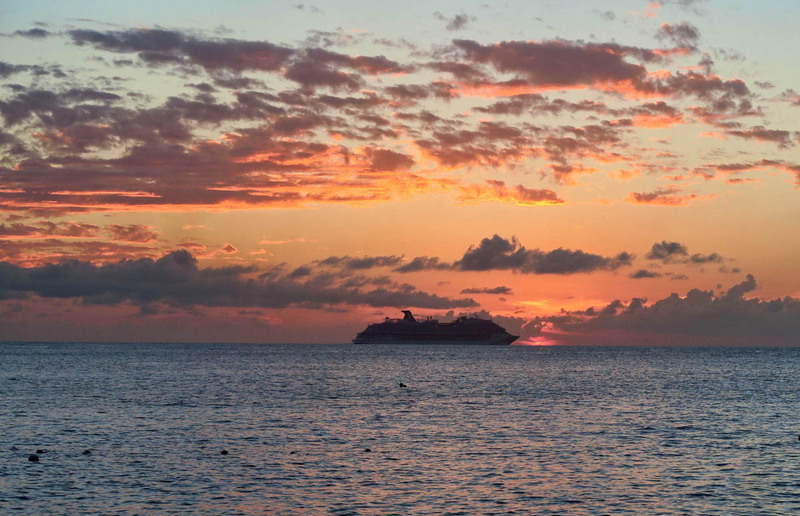 I have a soft spot for Cozumel. Rose like cocktails on the beach and I love to go for a couple of scuba dives, rent a VW bug and drive around the island as you did. It’s sad to see places we know and love change for the worse. Seems to be a trend all over these days! 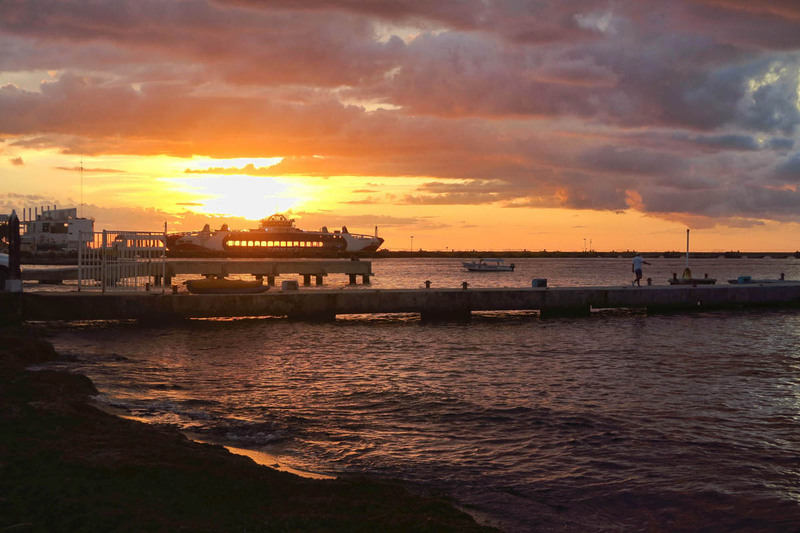 For those seeing it for the first time though, Cozumel is probably still magical. At least you re found El Foco and got in a nice dive. Sadly everything is changing, a ll in the name of tourism. Even my lovely Isla is changing now that we have a paved road in. I fear what I will find next season when I return. Ah memories! We’d been married two years on our first visit Nov 1980! I was winning sales contests at work and discovered a loophole that allowed us to go to Cozumel instead of receiving another bedspread! 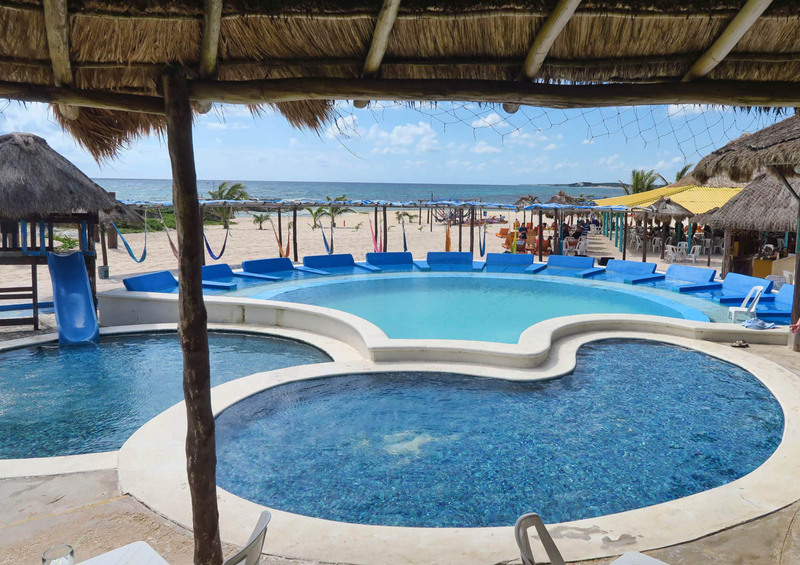 And stay at the now gone Cozumel Caribe north of town a couple of miles in a corner suite with marble floors, two ocean front balconys and a private beach! We would jump in that fantastic water ( we grew up in Texas where we swam in muddy stock tanks!) and snorkel, riding the southward current into town! Or take a mo-ped down to Chakanaab Lagoon ( you could still swim in it then- no ziplines, no fancy park, no admission! and NO thousands of cruise zombies! ) Lay on the beach for free and eat fresh caught fish that would be cooked right there on the sand! Best of all I’ve still got that same gorgeous bride…… though I certainly wont fit in those blue jean cut-offs! Thanks so much for bringing years of wonderful memories of such fantastic place! Sorry – can’t remain silent 🙂 Suz and Jim, I arrived here following in your footsteps. 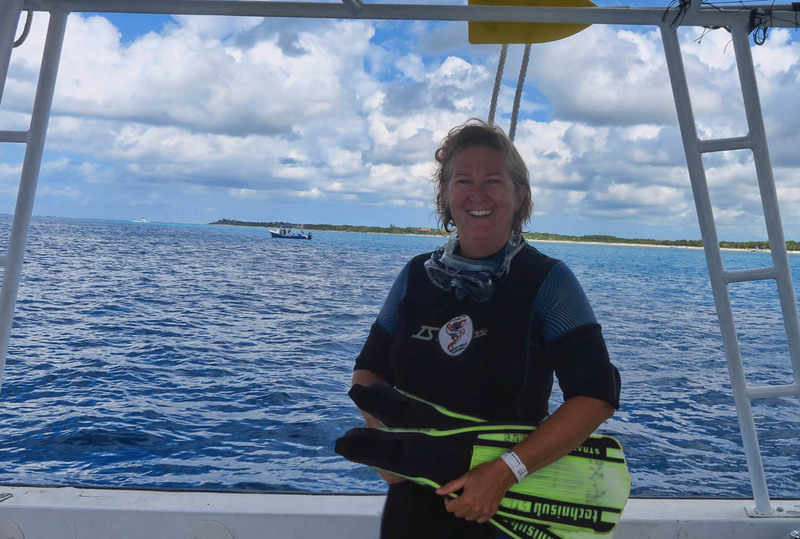 In ’85 I enjoyed my first deep sea SCUBA dive here and for the next 25 years I was hooked and visited Cozumel at least twice yearly, mostly with our family which Suzanne has so eloquently described. 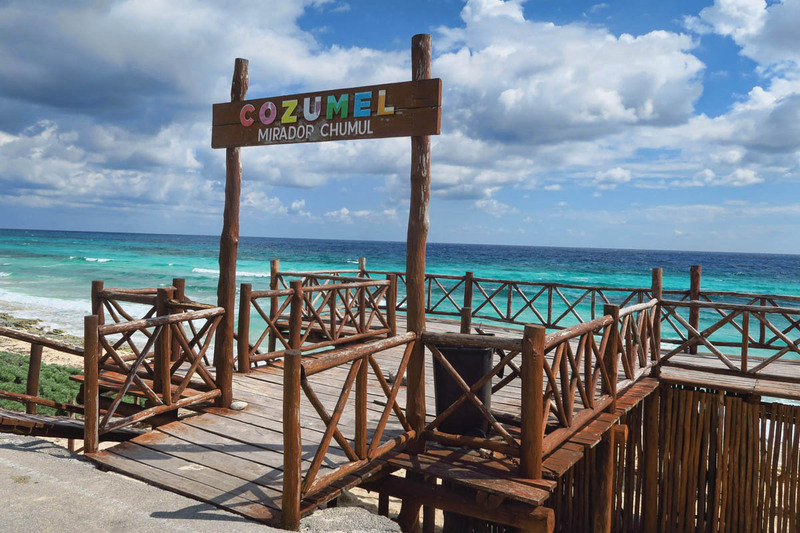 Can you imagine that every November and February a tour company offered $99 round trip airfare from Dallas TX to Cozumel with return and that was with tax included? These fabulous bargains lasted all the way up to 9-11 and then everything stopped and with the high cost of security this charter eventually went out of business. 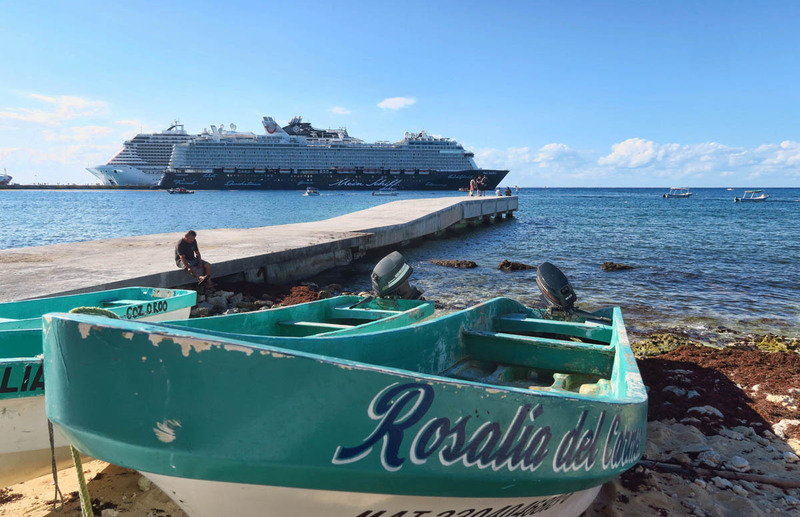 It was about the time all the cruise ships started to sell Cozumel as a destination and about the time the island turned from dive destination to St. Thomas island jewelry, perfume shops and an overall “island excursion company” for cruise ship passengers. The island long ago became saturated and today is mostly inhabited by large schooling groups of tourists vying for the same dwindling facilities. And yes things do change but unfortunately wonders of the world are not created as fast as we can consume and destroy them. And one is left to wonder, in the general scheme of things is racing ATVs over it’s remaining desolate sandy shores or watching it decorated with piles of horse pucky really a proper burial? Surely standing on one of the new observation towers should be. 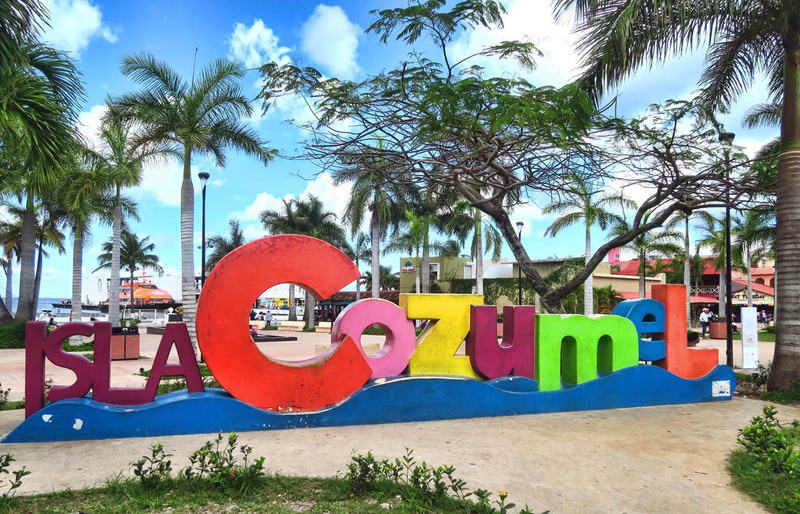 Cozumel will always hold a place in my heart but many years ago I had to leave her only to begin to grieve her like the passing of a loved one or family member. Still with death comes life and I shall forever be grateful to my good friend Juan Guzman from Cozumel who once asked me some 14 odd years ago “have you ever explored anywhere inside Mexico – oh no, only the beach, gosh then follow me”. 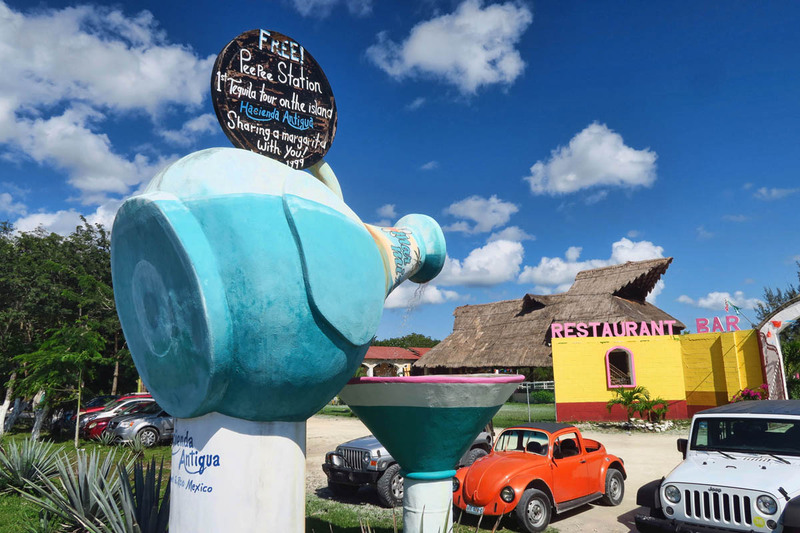 Our following year’s trip through the Yucatan and on to meet Juan’s childhood friends and family changed me from that point forward. Today beaches seem mostly places to avoid and while I do sometimes relish in one if I’ve discovered it uninhabited, for the most part it’s still the old island of Cozumel that lingers in my mind as I look toward the sunset. Most days today you’ll find me somewhere hidden in the hills and off the beaten path deep in the interior of Mexico because at last in my life I have discovered that everything that glitters is not gold, and more-so, that gold is never to be taken for granted once we have discovered it. 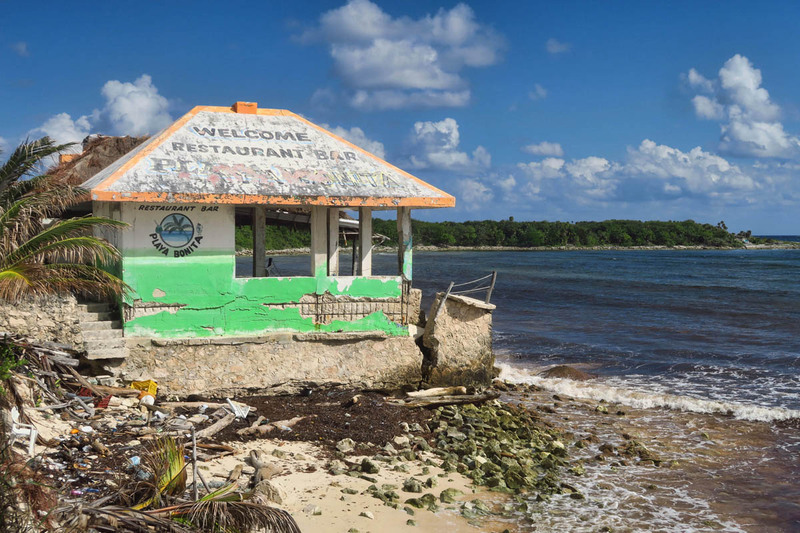 I’m so sad when I see old soul places destroyed by tourism like this. I realize I’m a tourist myself, so part of the problem, but when I travel I search for the root of things not the glitzy holiday scene. 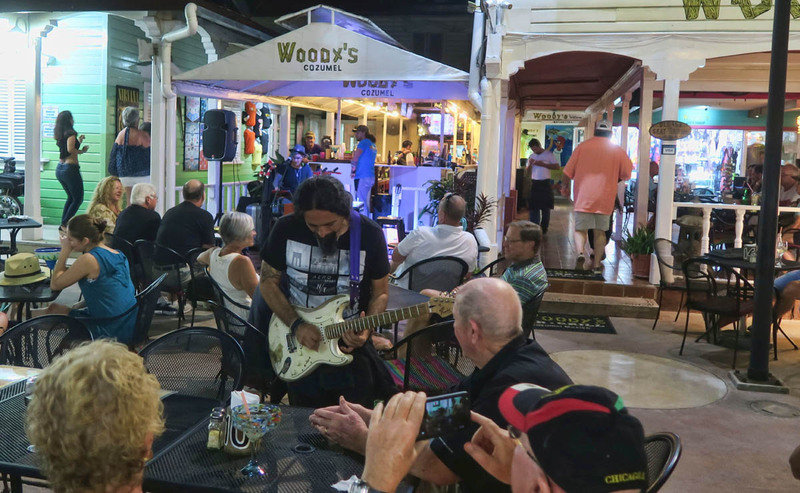 I felt a little like you did here when I visited Key West a few years back, especially since I’d heard so many stories from those who used to visit 30-40 years ago and how things were. It’s just sad. Is this the fate of all beautiful places in the end? I sure hope not. Love your pics, as usual. You capture the color so well. I so agree with Don’s description. I started going from Houston in the 80’s when there were charters from there. Oh, the glory of it! Somewhere on the south side of the island was a place that only served warm water lobster. They would weight it and if memory serves me well, it was about $6USD for a lobster meal bigger then one could hardly consume. 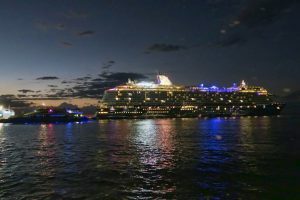 I traveled back there sooooooooo many times, until I saw the first cruise ship and never have gone back. I was in Playa a few years ago and was shocked speechless at what that town has become. There are still unpeopled beaches in Mexico that I go to and seldom see more then ten people in the month that I am there. NO, I’m not sharing the destination. Next thing I know there would be a darn cruise ship there. I drive from my long time home in San Miguel every year for a month or two and experience the beaches but then return to this high elevation place I call home. Thank you for confirming what I was afraid had happened to Cozumel. So sad. What a great description of paradise lost. I also had visited Cozumel in the 80’s and loved it. My husband won a cruise at a golf outing and Cozumel was on the itinerary. It was our first cruise and probably our last. In the few hours we were in Cozumel I recognized nothing. We do still go to Cabo San Lucas which is probably just as bad. However I didn’t know it when it was a small fishing village so my expectations are different and it is a destination for our family. Cruise ships ruin everything they touch.